FFA is off to a great start! 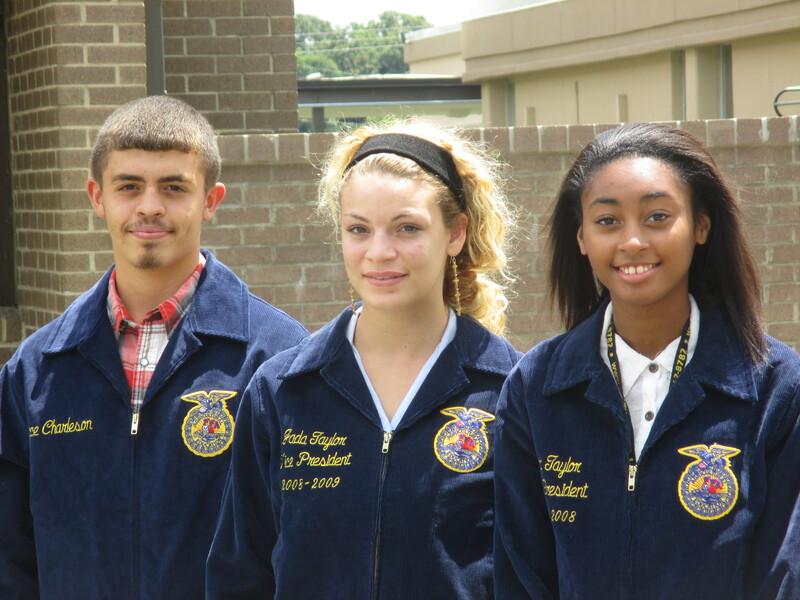 The 2014-2015 Scotland FFA officers met at the Scotland High School Agriculture Department on August 6, 2014 at 12:00 to plan activities for the school year and meet Jada Taylor, new member of the CTE staff at Scotland High School teaching Agriscience Applications, Horticulture I and Horticulture ll. The members enjoyed pizza and homemade banana ice-cream for lunch and then discussed the Program of Chapter Activities for the 2014-2015 school year. The members also participated in a “Let’s get to know you” activity, fitted for official jackets and pictures. The Scotland FFA officers are President-Peggy Maynor, Vice President-Bryce Charleson, Secretary-Aliyha McDougald, Treasurer- Tabitha Dunn, Reporter-Logan Ward, Sentinel-Kenneth Stokes, Parliamentarian-Dwayne Locklear. FFA advisors are Jada Taylor and Reid Ledbetter, Agriculture Teachers at Scotland High School.